Primus Medical is looking for YOU! 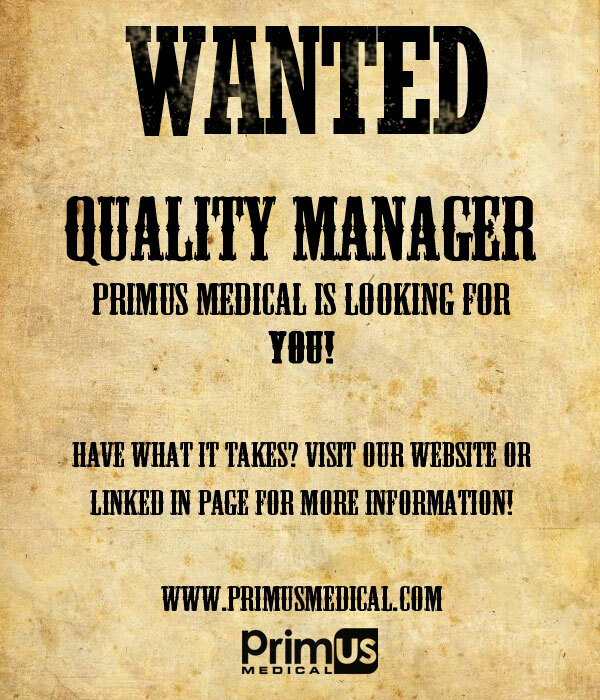 Primus Medical is actively searching for a qualified person to fill in the Quality Manager position at our Boardman, Ohio location. Please follow the link below to apply on our LinkedIn page! 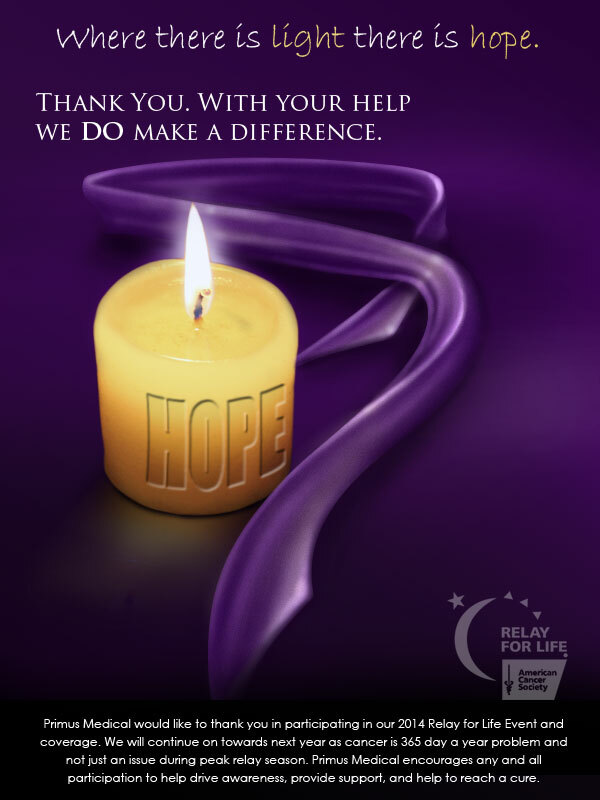 Primus Medical would like to extend a warm ‘Thank You!’ to all involved in this year’s Relay for Life. We will continue to make a difference for 2015. It’s Relay Time! 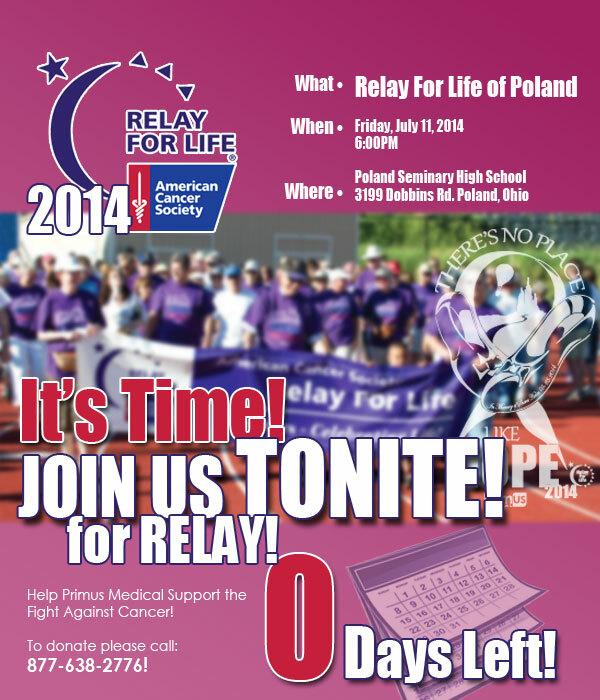 Join us TONITE at 6PM at the Poland High School! Only 1 Day Left Until Relay! Join Us Friday July, 11th at 6PM at the Poland High School! Only 2 Days Left Until Relay! Join Us Friday July, 11th at 6PM at the Poland High School! Only 3 Days Left Until Relay! 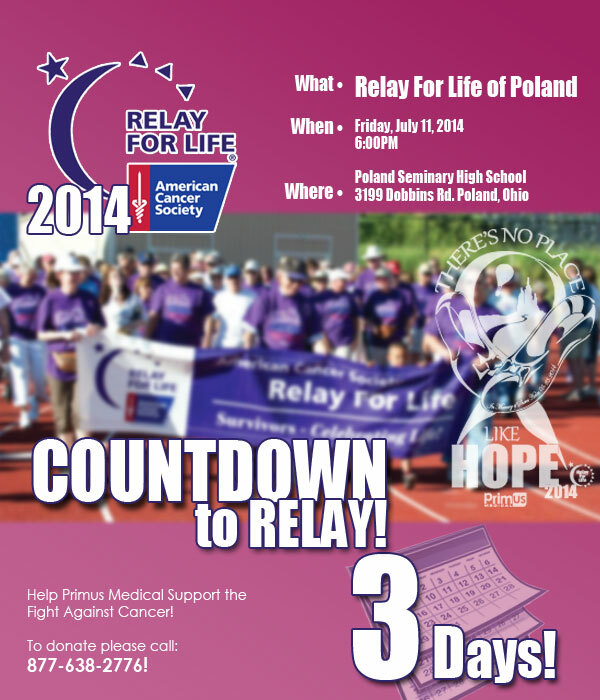 Join Us Friday July, 11th at 6PM at the Poland High School! Only 4 Days Left Until Relay! 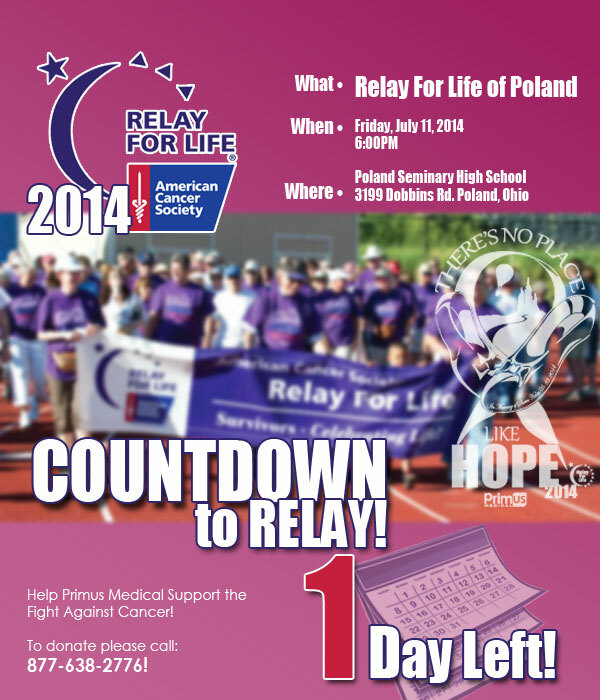 Join Us Friday July, 11th at 6PM at the Poland High School! 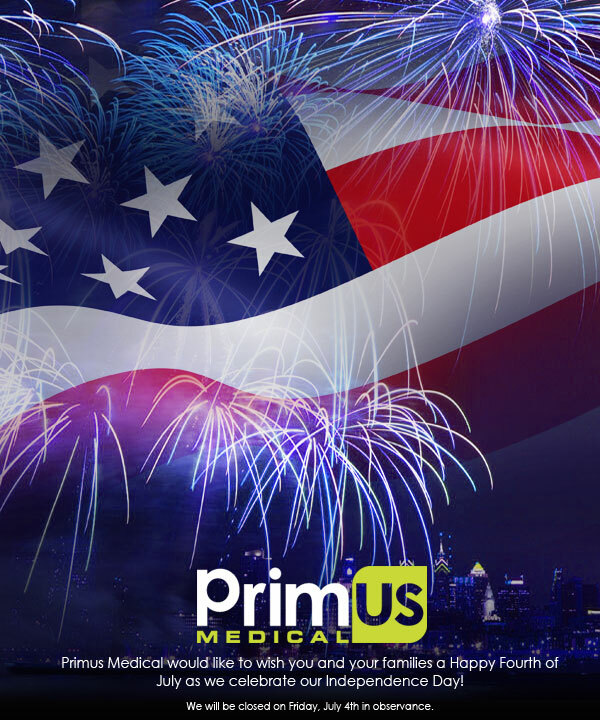 Primus Medical would like to wish you a Happy Fourth of July as we celebrate our Independence Day!